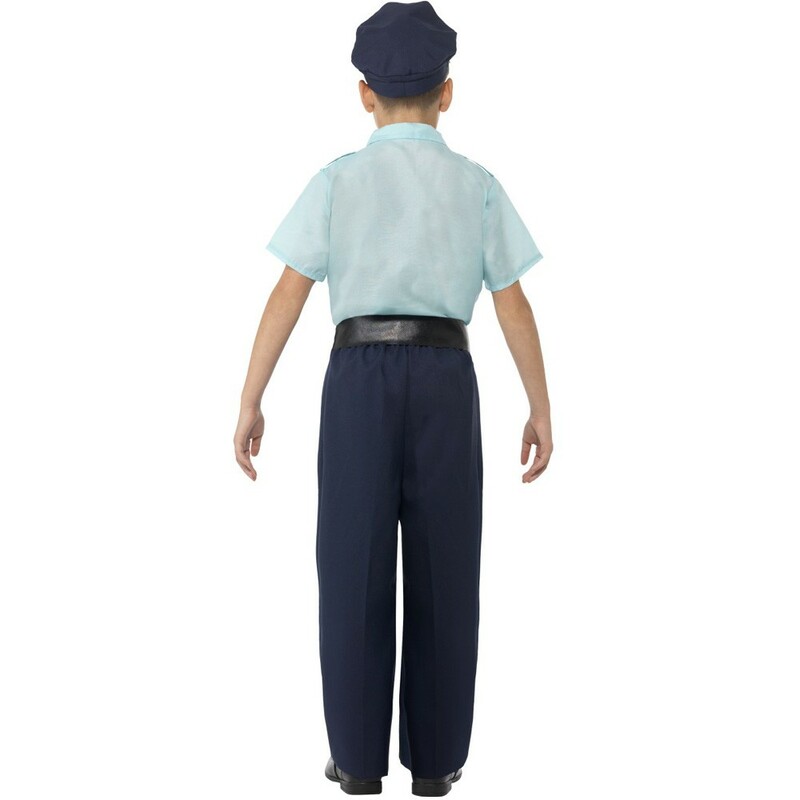 A Kids Police Officer Costume including a Shirt, Trousers, Belt, and Hat – Ideal for a Uniform theme, a School occasion, or any fancy dress occasion! 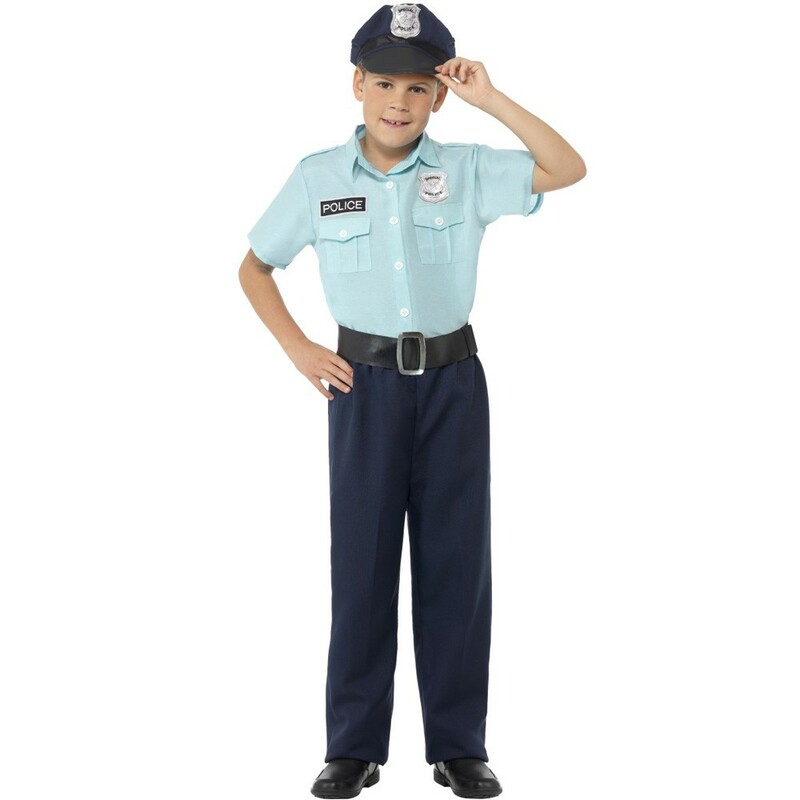 Be ready to report for duty as you transform yourself with this fantastic Kids Police Officer Costume. This amazing Kids Police Officer Costume comes complete including a Shirt, Trousers, Belt, and Hat. This pale blueShirt features a collar, two breast pockets with button details, a police tag, and a Silver “Special Police” badge for an authentic look. 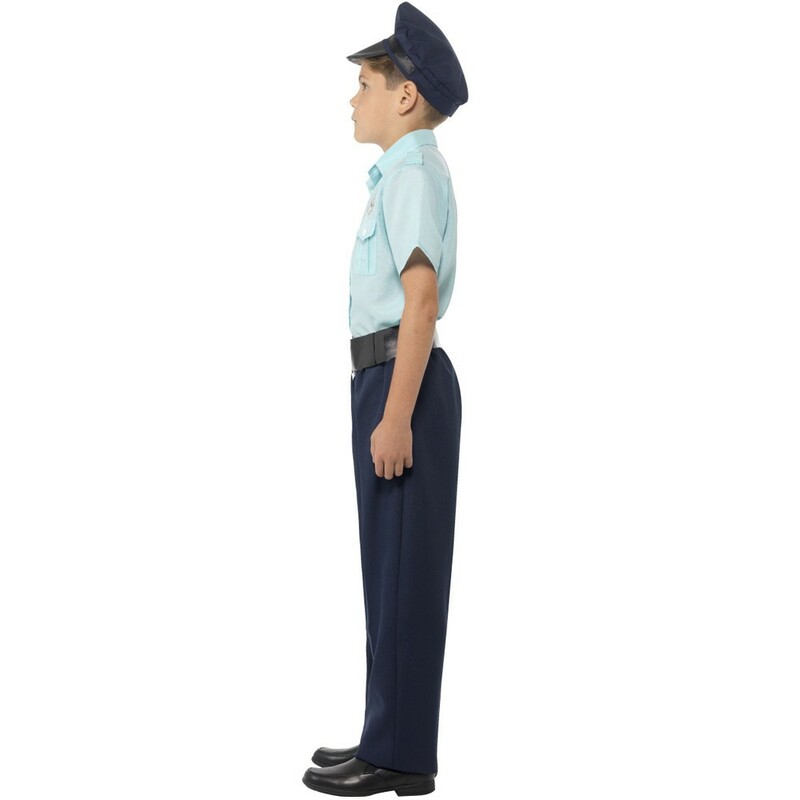 This brilliant Kids Police Officer Costume also includes a pair of dark blue Trousers, which feature an elasticated waistband for comfort, and a separate large black Belt, a navy blue Police Hat with a silver police badge to complete this cool Kids Police Officer Costume. Perfect for a Uniform theme, School occasion, an everyday Hero theme, or any fancy dress occasion, this Kids Police Officer Costume will be sure to make an impression! This costume is available in sizes Small, Medium and Large. Size guidelines: to fit UK ages 4-6 years, 7-9 years, and 10-12 years.